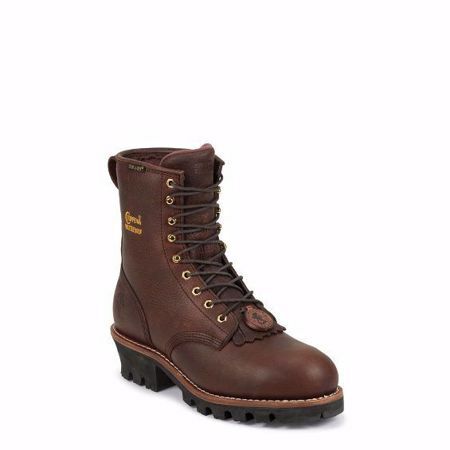 The Paladin Briar Insulated Waterproof Steel Toe 8-inch tall men's lace-up boot is a refined classic. The burgundy brown leather exterior has a fashionable edge and the antique brass hooks and eyelets are non-tarnishable for added quality. It has 400 grams of 3M Thinsulate™ Ultra for maximum warmth and comfort yet it's still thin enough to allow complete freedom of movement. It has a steel toe that exceeds ASTM F2413-11 standards for impact and compression and protects the toe from non-electrical conduction of magnetic charges. The heavy duty wax laces have guaranteed durability and this boot is built for comfort with Texon® insoles. The Vibram® rubber outsole that brings quality, performance, and safety so you can step into each day with confidence.